You walk into a room with a rabbit holding a carrot, a pig eating slop, and a chimp holding a banana. 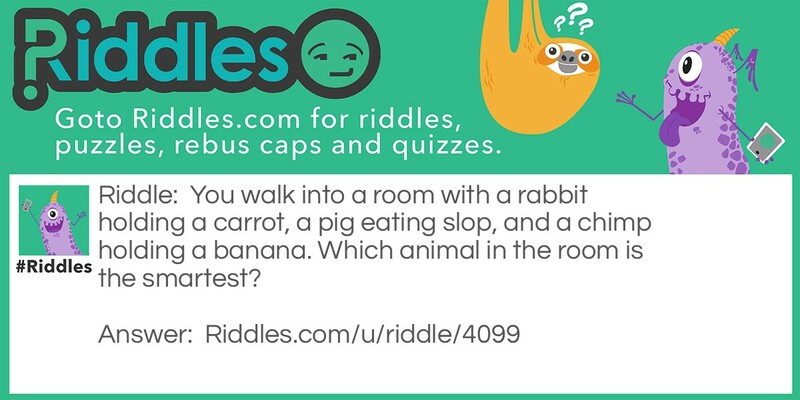 Which animal in the room is the smartest? Smartest Animal Riddle Meme with riddle and answer page link.